Three very important ( & most requested ) new end points add_post, update_post and delete_post have been added in the JSON API User Plus Plugin. You can also add attachment with add_post and attached image is set as featured image with the post. 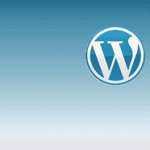 Use WordPress not just as as web app but also for your iOS and Android Mobile apps back end. JSON API User Plus Plugin version 1.2 allows you to create, update, and delete Posts among many other features. JSON API User Plus Plugin enables you to use WordPress and BuddyPress (not all features yet, check the documentation for available endpoints) via REST API. Added ‘new_post’, ‘update_post’, ‘delete_post’ endpoints. Updated ‘generate_auth_cookie’ to include ‘cookie_name’ value in the response. Note: User must have capability to add post. Change user role if needed. Note: User must have capability to update post. Change user role if needed. force_delete – if set to ‘true’, it will delete the post bypassing the WordPress trash. Note: User must have capability to delete post. Change user role if needed. 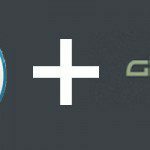 PreviousPrevious post:Use WordPress & BuddyPress for iOS & Android Mobile Apps via REST APINextNext post:A FREE Ebook Everyday from Packt Publishing – Help Yourself!